Published: May 9, 2014 at 08:01 p.m. 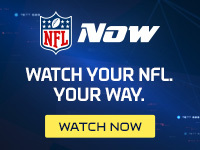 Updated: May 9, 2014 at 09:31 p.m.
After bypassing a wide receiver in the first round, the Eagles found their DeSean Jackson replacement on Friday night. The Eagles traded up with the Titans to select Vanderbilt wide receiver Jordan Matthews at No. 42 overall in the 2014 NFL Draft. Tennessee will receive the Nos. 54 and 122 overall picks from Philadelphia in return. Incredibly productive for the Commodores, Matthews established a new SEC record for receptions (262) and receiving yards (3,759) while generating 24 touchdowns in four seasons. He was the lone senior ranked among the top dozen wide receiver prospects in the draft. He joins Earl Bennett as the only Vanderbilt wide receivers drafted since 1992. Matthews is a polished and savvy prospect with ideal size and good enough speed. If there's a knock against him, it's that he's not a dynamic playmaker and projects as a high-end No. 2 receiver. His bloodlines check out, though. Matthews is a cousin of Hall of Famer Jerry Rice. Chip Kelly can expect an immediate contribution from his second-round pick behind Jeremy Maclin and Riley Cooper.